At the end of the twentieth century, especially in industrialized countries, a new group of patients appeared, complaining about a team of vague, seemingly unrelated symptoms, manifesting themselves as being completely ill with the symptoms of many different diseases occurring simultaneously. The patients are referred to various specialists who state that everything is OK with them. The last of the specialists is usually a psychiatrist who states that it is all in the patient’s mind that the patient is telling himself these diseases. Could it be? Appearance of this kind of patients occurred years after modern medicine decided to cure most of the diseases with the help of antibiotics, or mold products. A broad spectrum antibiotic kills all bacteria in the human body, even those friendly ones that compete for the colonization of our digestive tract with the adversary called candida albicans. Candida albicans is an inconspicuous bacterial-yeast organism from the borderline of the plant world, inhabiting the lower part of the digestive tract since our arrival in this world. It fulfills an important digestive role helping in the process of sugar decomposition by the body. His second face, as the destroyer of our immune system in the case of its overgrowth, we meet in recent years, although the first cases were already described by the father of the Hippocratic oath. Candida is present almost everywhere in the environment and as long as our body has normal defensive functions, it is harmless to us. Other intestinal inhabitants are so-called “Positive bacteria acidophilus, bulgaricus, bifudus and others. Like candida, they play an important role in digestion, moreover, which is less prevalent or recognized, they control the development of candida albicans by feeding it. These positive bacteria are settled in the gastrointestinal tract with mother’s milk. The very fact of not breastfeeding a newborn can cause an adverse state of imbalance between positive bacteria and candida, which sometimes has serious consequences in the future. The main factor favoring the hypertrophy of candida is excessive intake of antibiotics, especially with a broad spectrum. Antibiotic, which is a product of mold with bactericidal properties, is not able to selectively kill bad bacteria leaving lactobicilus, which fulfills a positive role. It removes all bacteria encountered without exception creating in this way imbalance and the beginning of problems. Unfortunately, the doctor does not advise us during the course of treatment or after its completion, to settle the digestive tract again with friendly bacteria, removed by the antibiotic, and so necessary for our health and well-being. 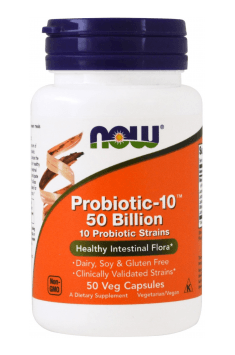 This can be done with the help of probiotics, or dried strains of positive bacteria, which under favorable conditions, i.e. moisture and heat (intestines) begin to grow, reproducing the balance disturbed by the intake of antibiotics. When buying probiotics, pay attention to be as fresh as possible, preferably chilled and counted in billions and preferably in tens of billions. I do not deny the above claims of the role of antibiotics in life-threatening situations, but giving them, especially those with a broad spectrum, in situations such as colds, etc., borders on recklessness. Fortunately, according to recent statistics, as a result of increasing awareness of doctors and patients, the number of prescriptions prescribed for antibiotics decreased by 30%. Another reason for the overgrowth of yeast in the body is a modern diet, which deviates significantly from what we ate at a time when our social life flourished in caves. Here we plucked some kind of root, there was a veggie, then some fruit or pet. It was a food in a natural unpolluted, unprocessed, fresh form with high nutritional and antifungal properties. Contemporary, “non-drinkable food is stuffed with preservatives with a negative impact on human health. These products are durable, easy to store and cook, but are dead. They do not contain the living nutrients that humans need to develop and control yeast populations in the body. An example here may be our daily bread made of purified flour with the addition of tap water (chlorine, fluorine) and yeast. After such a preparation it is difficult to find some values in the bread, unless after converting into sugar (simple carbohydrates are turned into sugar), a great medium for candida. A good example of the “health properties of purified food” is the event of the Vietnam War. When there was no local rice for the army and the South Vietnamese population, “improved white rice from the USA was imported. In a short time, the number of various common diseases has increased among people and in the inventory. Someone noticed that the chickens fed with local rice are still good, and those on the American meal were falling like flies. When natural, untreated local rice was introduced into the mainly South Asian diet, the health situation of consumers improved immediately. The point is that the main nutrients are contained in the cereal shell, which is removed in a modern purification process. The general principle of healthy eating is not to eat factory-pre-packaged food with various colored inscriptions proving their alleged nutritional properties. I realize that it is difficult to achieve these days. So let’s try to limit the amount of such food to a minimum. Generally available meat is increasingly stuffed with antibiotics. hormones and steroids which, when added to feeds, cause faster growth and higher animal productivity. This is also the way antibiotics get into milk, sausages and chops. Let’s now go to the main yeast host – sugar. In the old days, no sugar was known in its pure refined form. Sugar in the form of a white powder appeared around the eighteenth century. Initially, it was very expensive (for example, the king could financially allow, roughly counting, one tablespoon of sugar per day), and was not available to the wider masses, because the said spoon was the equivalent of the peasant’s annual income. It seems that nowadays we are better than monarchs. Over time, when sugar refinement became cheaper it became generally available and used. I dare think that even abused! For example, it is known that sugar has a negative effect on teeth. Even so, have you ever found a toothpaste that would be un-sweet. The general sweetness around us reminds me of a different commercial situation. Producers of sweet chewing gum convince us in advertisements that we will not be able to live as soon as we do not constantly bother. Have you noticed these piles of sweets at the store’s checkouts arranged at the height of our children’s eyesight. This is the last chance to absorb blissful sweetness. Sugar to be digested consumes large amounts of vitamins and mineral salts giving us a temporary flow of energy, which depending on the amount of consumption ends with various degrees of mini alcoholic intoxication. These yeast candida albicans need large amounts of sugar for their development and expansion, littering our body with the feces of its transformation. Why did I mention alcohol? Well, sugar, whether in pure form or simple carbohydrates, in conjunction with yeast in the intestines produces alcohol, the greater the growth of yeast, the greater the need for sugar or alcohol, which is nothing but condensed sugar. Man is a walking alcohol factory with the necessary yeast for his production in the digestive tract and a taste for sugar and simple carbohydrates, which are instantly converted into sugar. If we supply the yeast with the necessary amount of simple carbohydrates in the form of bread, pasta, potatoes – the end result is alcohol. Being slightly inserted after the wrong meal is easier to reach for the second glass. Nuclear radiation and other types of it have a large impact on yeast hypertrophy. In Japan, where after the outbreaks of nuclear bombs it still keeps on, there are known cases of being drunk without drinking. One of the soldiers of the American base was often arrested for alcohol consumption confirmed by testers. The problem was that he was a abstainer. After sending him back (for driving himself and the car badly), the alcohol content in his blood dropped significantly to the USA. Some people have such a large overgrowth of yeast that even the minimum amount of alcohol make them drunk or can not stop when they start to drink, of course they are quite special cases. I mentioned earlier positive, friendly bacteria residing in our large intestine like Lactobicilus acidophilus, bulgaricus and their beneficial effects on our health. According to doctors of natural medicine, most diseases have a beginning in our large intestine where there is a fight between our defensive bacteria and candida. Normally working digestive tract should not resemble a warehouse only an efficient factory, sending us to the board meetings in the toilet at least 3 times a day. Shortening the transit of faecal matter through the intestine and eliminating its retention (10% of the weight of some people) will result in a shorter time in which candida can find something in the large intestine. We can provide our body with all the necessary ingredients in an easy to digest form, relieving our digestive tract. Of course, we have to give up the so-called tasty foods. Taste is moreover a matter of convention and habit. It is worth giving up momentary gustatory pleasure in favor of long-term increased quality of functioning during the day. In other words – let’s eat to live well and not – let’s live to eat well. The concept of good bacteria is ridiculed and at least overlooked in modern official medicine. No wonder, because treating the common cause of all the symptoms mentioned, and not each one separately, causes the patient to gradually recover, which means the loss of the patient. Lack of official research on this subject and evidence in the form of photos or studies causes the inclusion of the topic of intestinal flora into stories taken out of fairy tales. According to official sources, yeast overgrowth is allowed in patients with strongly reduced immune function, such as patients with AIDS or cancer. The only cases treated as fungal are skin diseases, nails, white raids on the tongue or yeast-like vaginitis because they are visible on the outside. Unfortunately, this is just the proverbial tip of the iceberg, for which lubrication or antibiotic attack has no effect or has a negative effect. This process (yeast growth) begins in the large intestine. According to American studies, more and more patients use natural medicine, and return to natural nutrition. It seems that the medical profession is slowly disappearing due to ineffective treatment of chronic diseases.